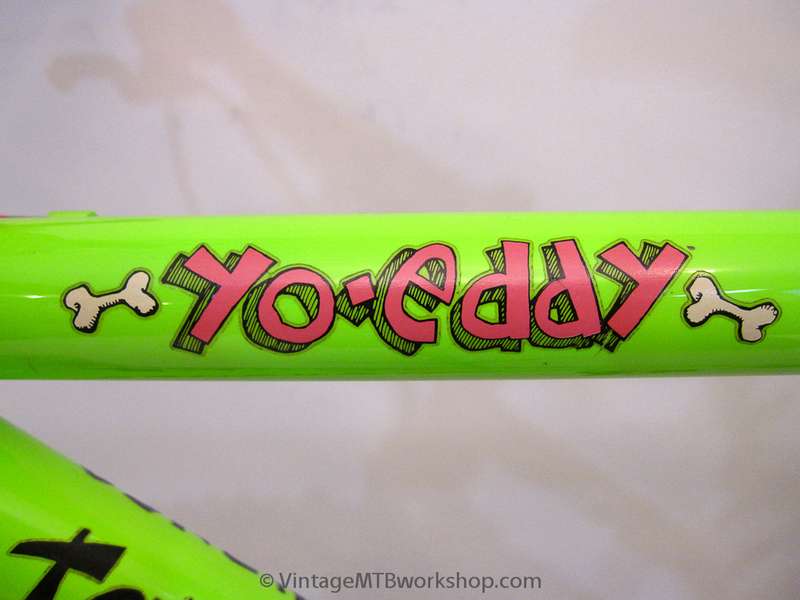 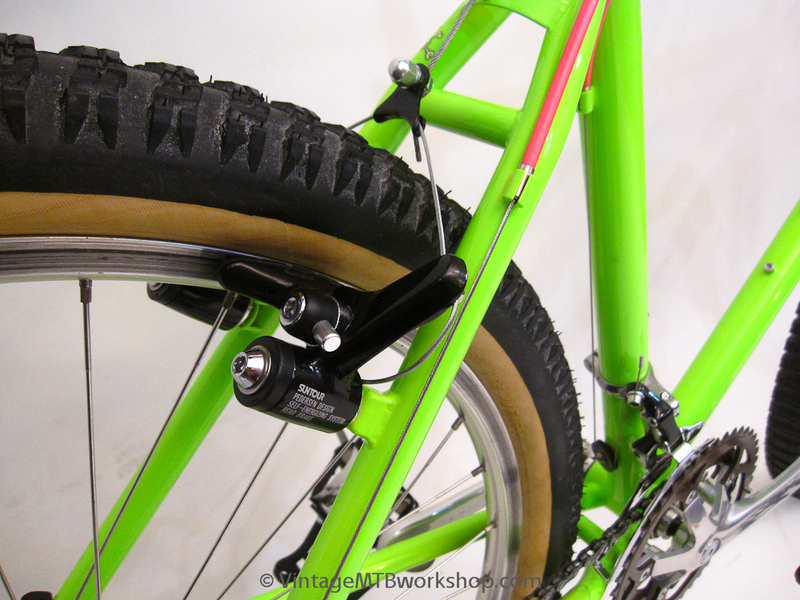 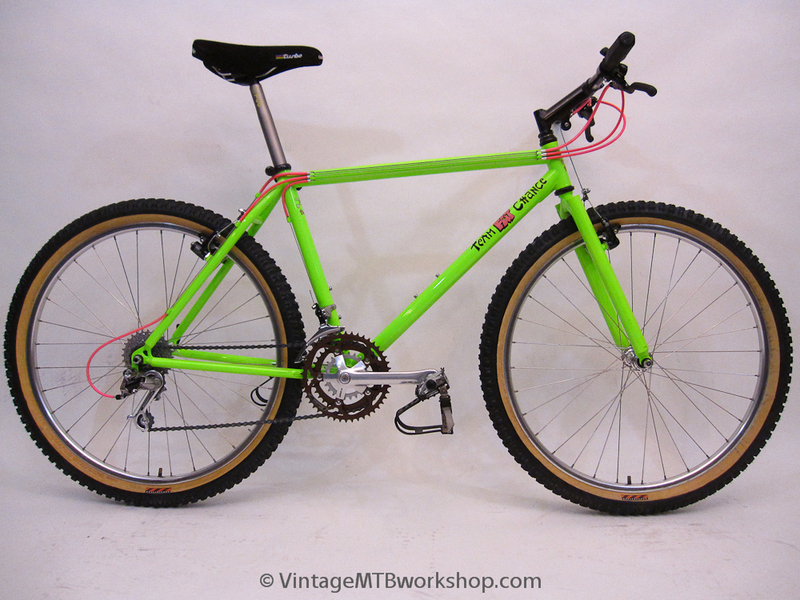 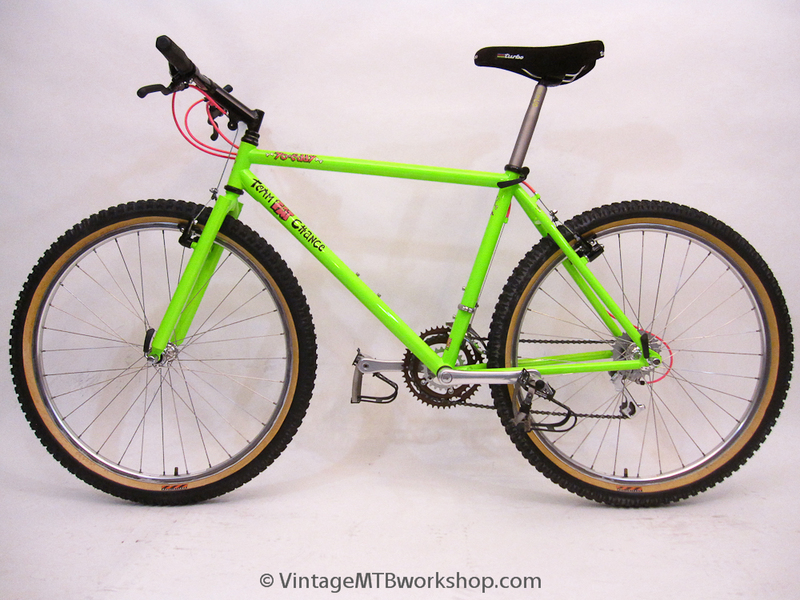 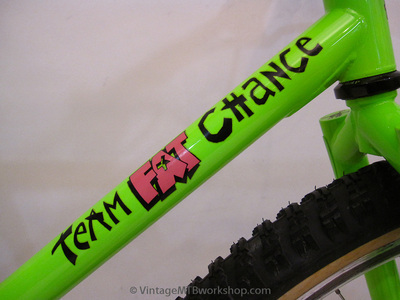 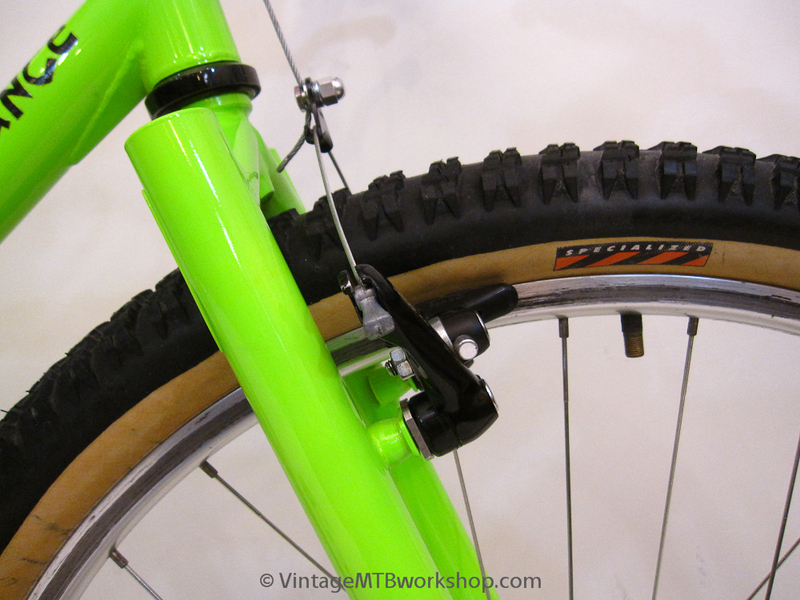 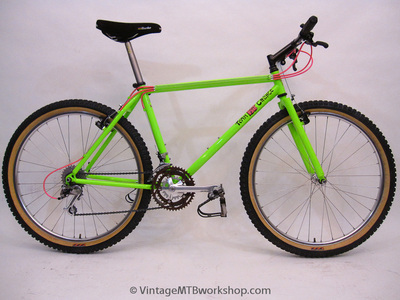 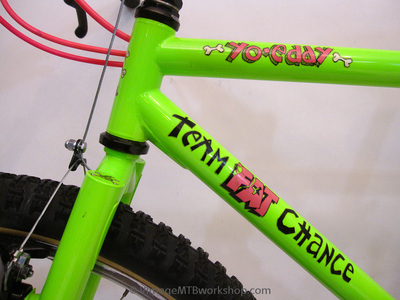 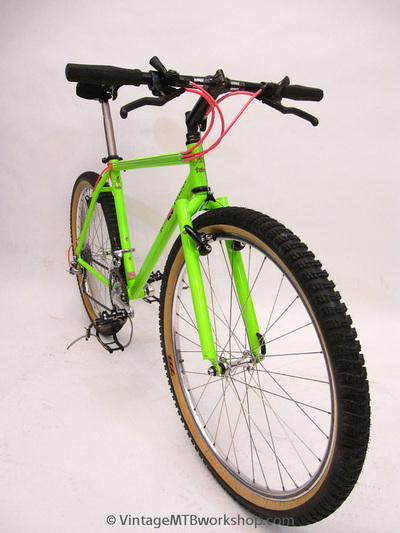 The Fat Chance Yo Eddy was a departure for Fat City Cycles in 1990, with a design that used thin-wall, over-sized tubing and a fork and stay design that would accommodate the new Specialized Ground Control Extreme 2.5 tire. 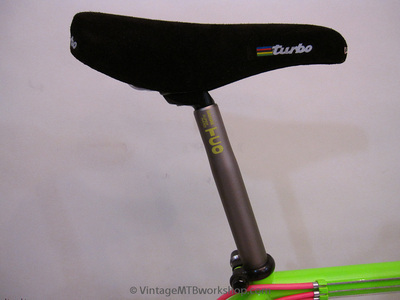 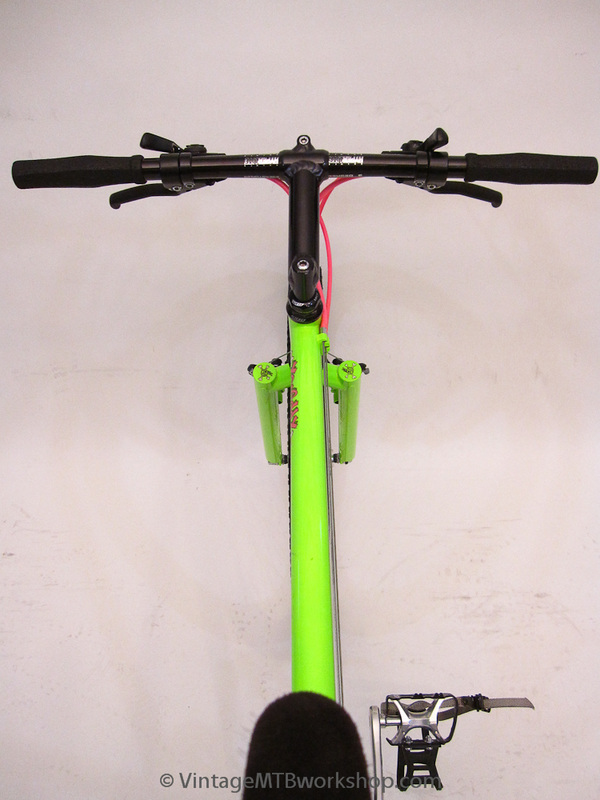 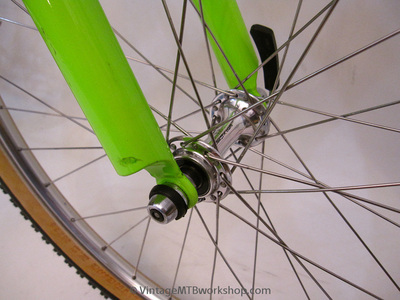 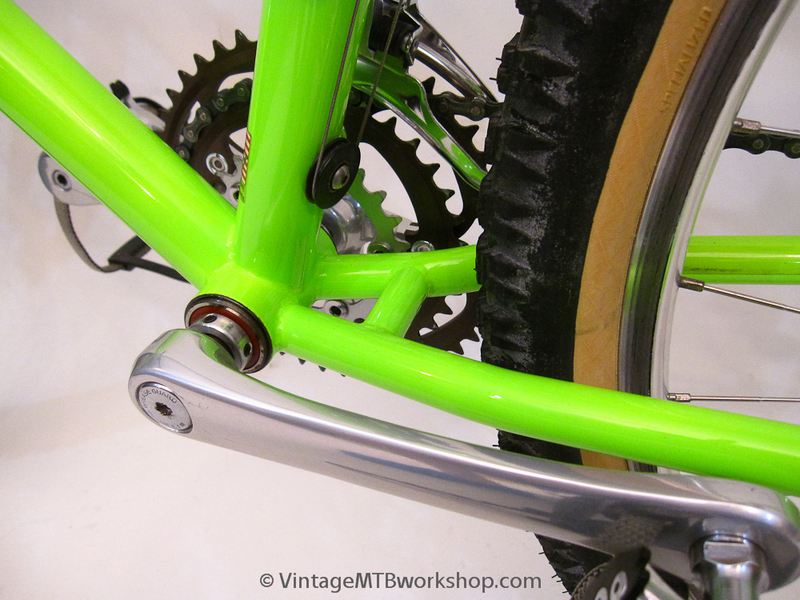 The frame also required an over-sized seatpost, which in the early years was provided by a Sakae TCO post in a special 29.4 mm size. Of course the grellow paint was an eye catcher and a contrast to previous production Fats that were often blue, black, or red. 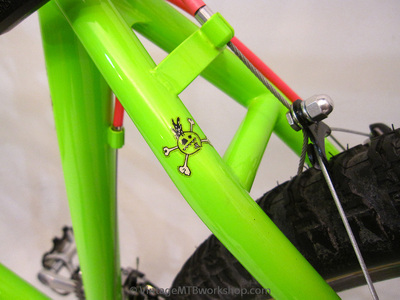 The grellow paint was achieved by first spraying the frame with a white under coat followed by a transparant mix of green and yellow. 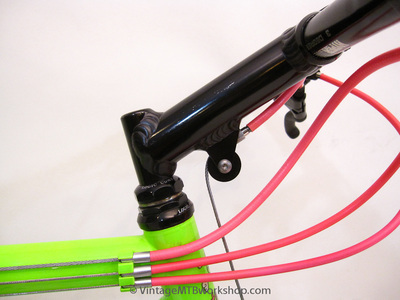 The result was a bright finish with something of a marble effect that is impossible to replicated with a single color. 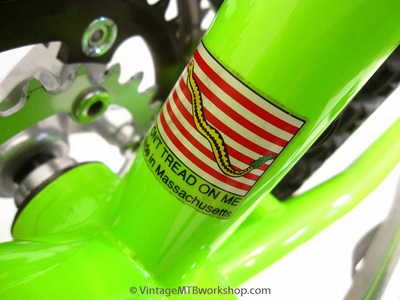 In fact, this particular bike is significant because of the pristine condition of the paint, which is unfaded and probably as bright as the day it was sprayed. 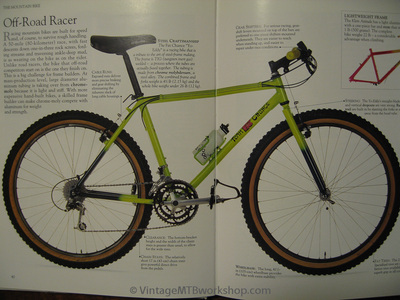 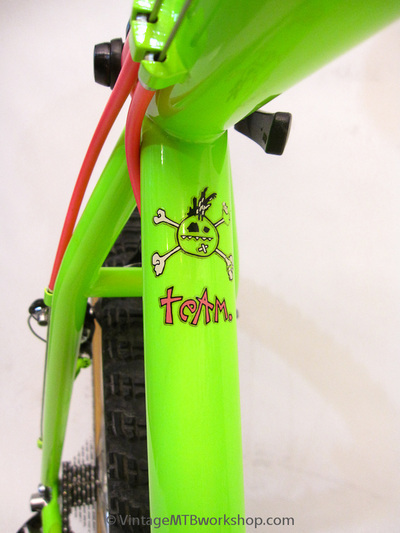 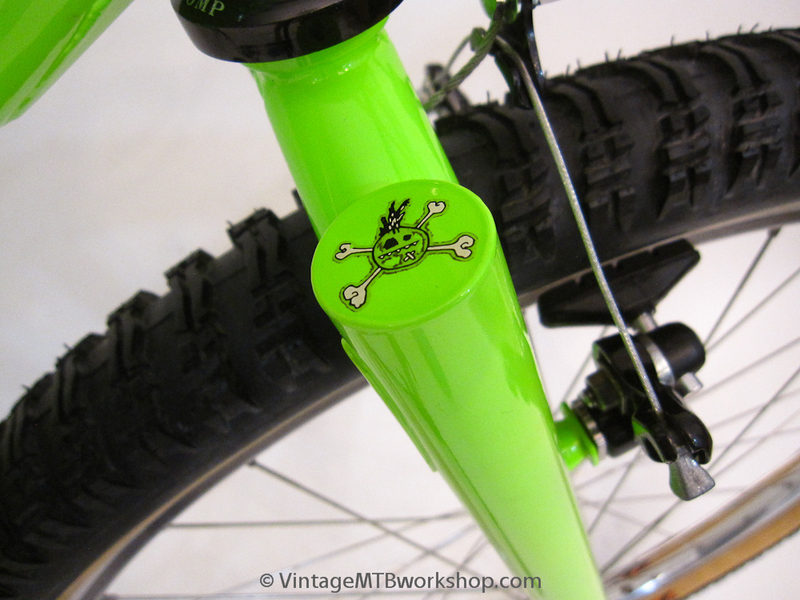 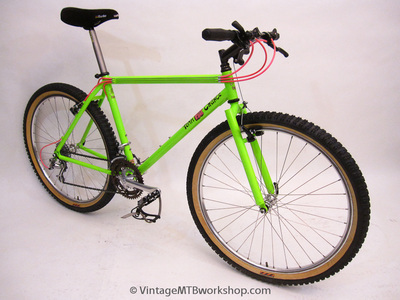 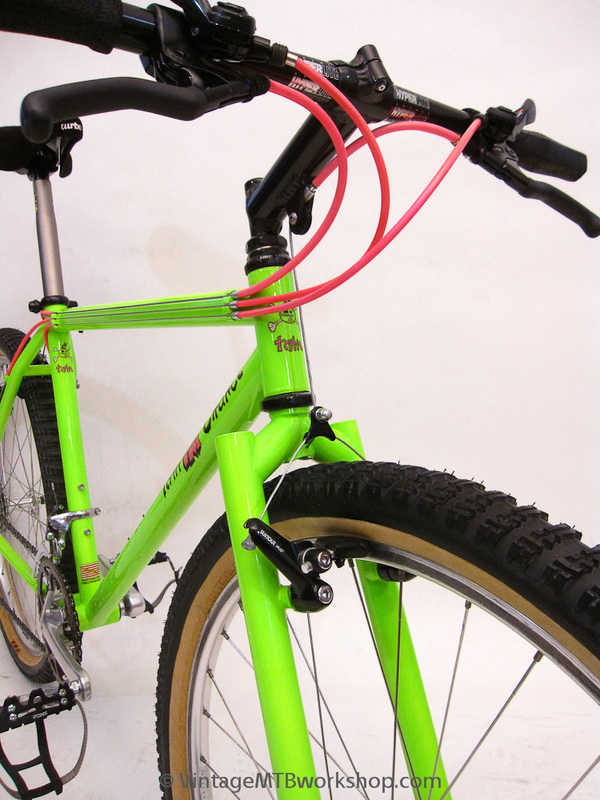 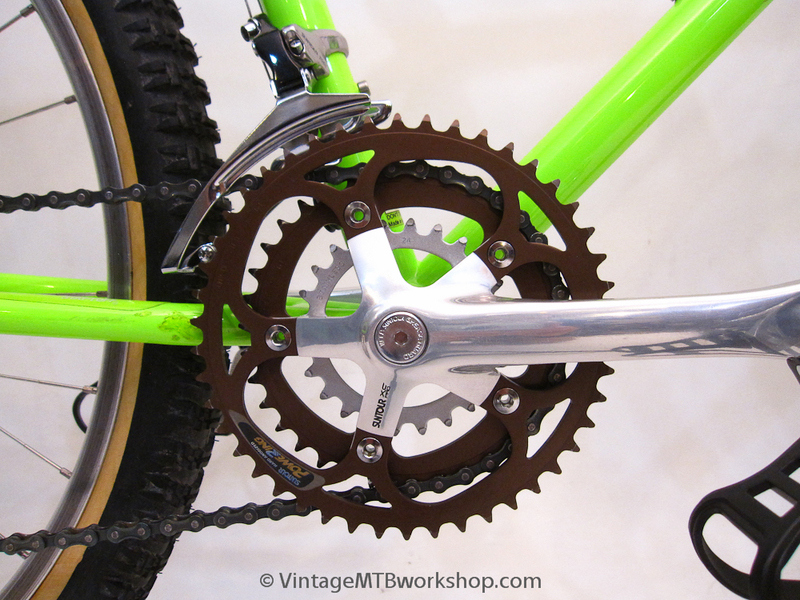 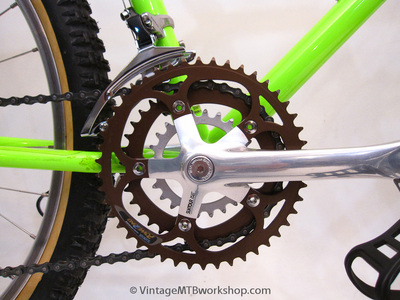 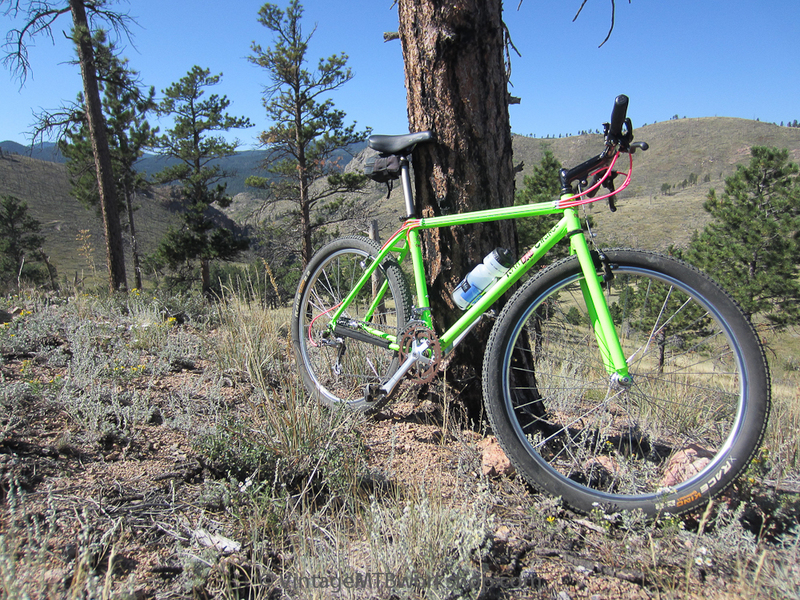 The build of this bike was intended to mimic the Yo Eddy that appeared in the book Ultimate Bicycle by Ballantine and Grant. 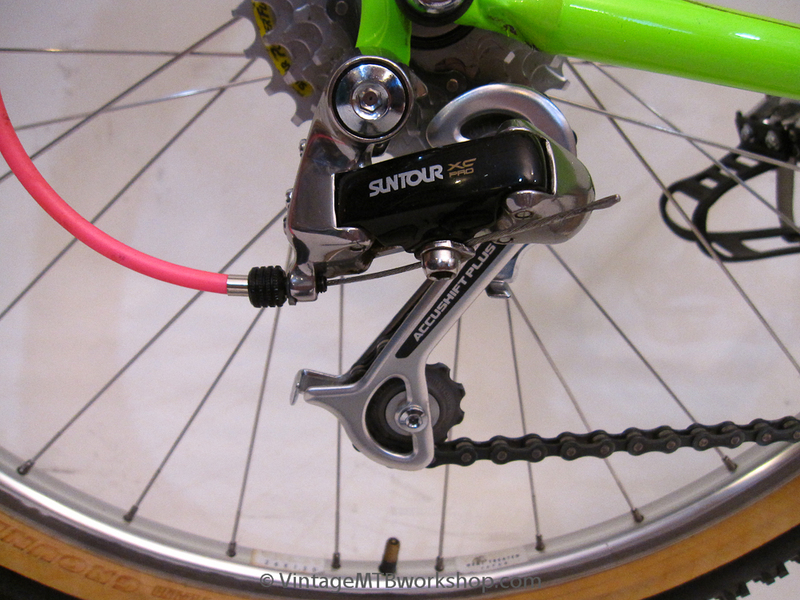 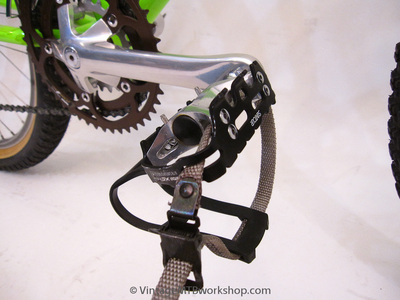 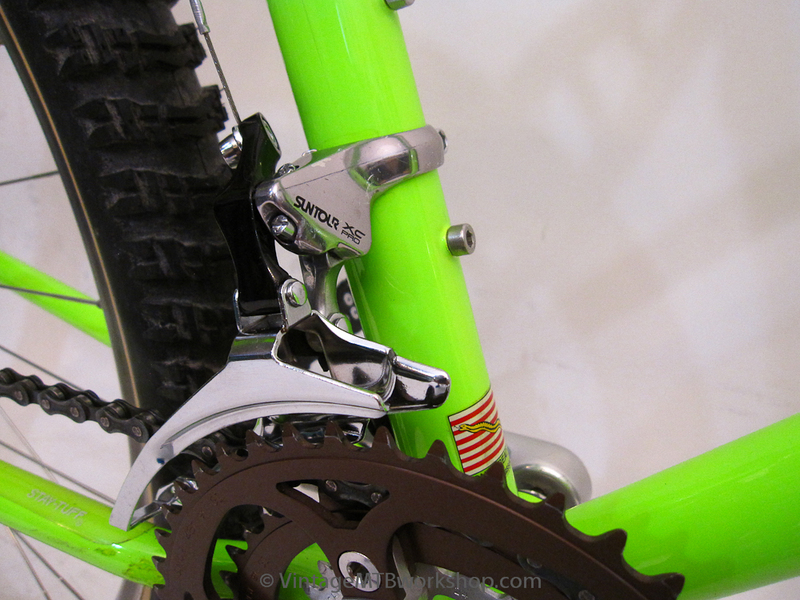 The components are first year Suntour XC Pro, with a long cage rear derailleur and full-size crankset. 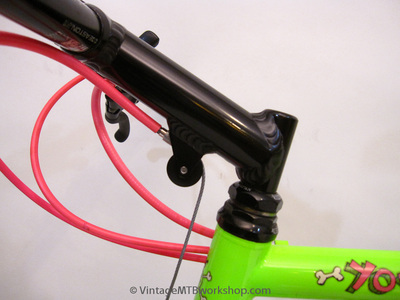 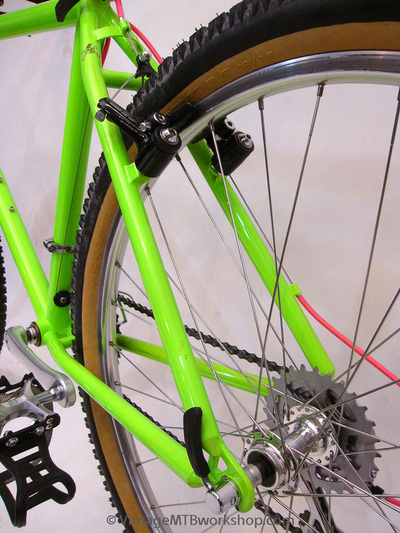 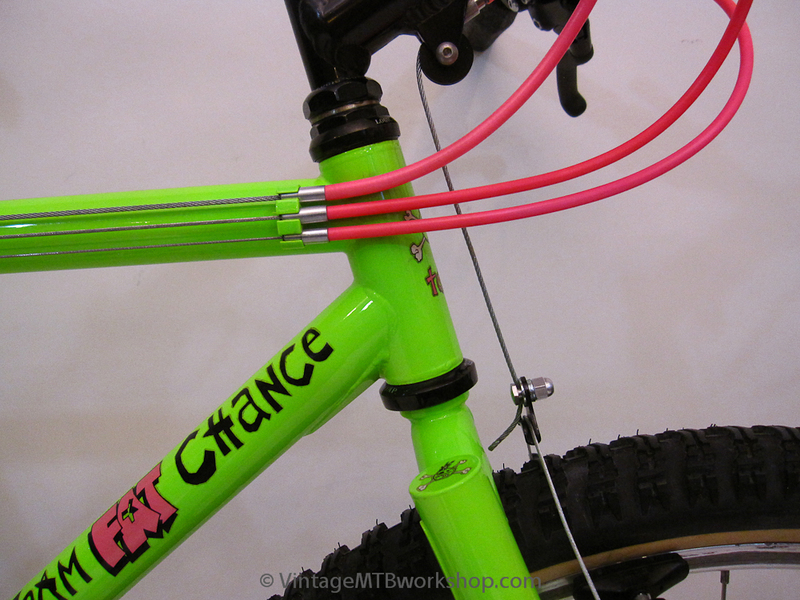 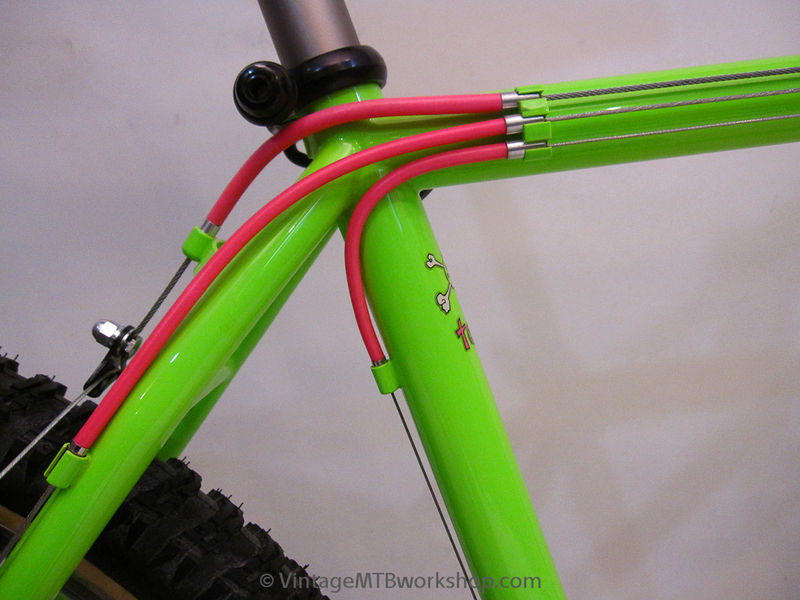 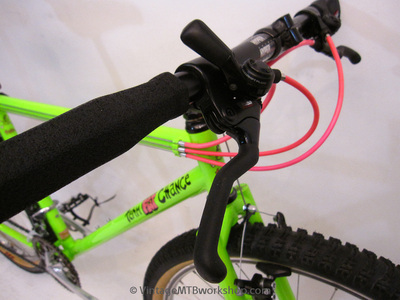 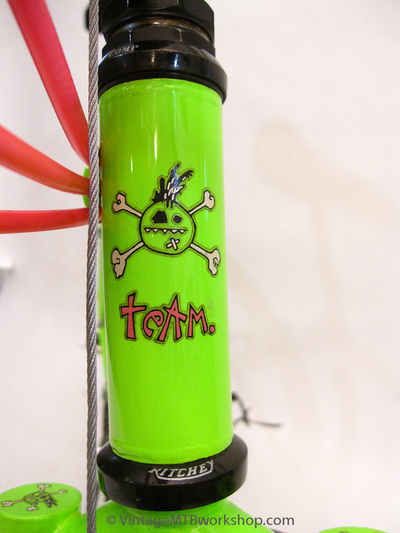 The hot pink cable housing is original to the bike.